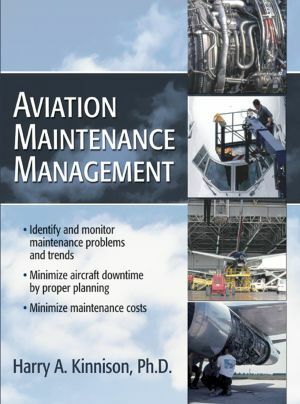 This unique resource covers aircraft maintenance program development and operations from a managerial as well as technical perspective. Readers will learn how to save money by minimizing aircraft downtime and slashing maintenance and repair costs by increasing maintenance standards. Harry A. Kinnison, Ph.D., worked for the Boeing Company for 20 years, 10 as a specialist in the Maintenance and Ground Operations Systems Group of the Customer Services Organization. Specifically, he represented Boeing to airlines on the ETOPS (extended-range twin-engine operations) program, participated in airline maintenance evaluations, and helped airlines develop reliability programs. Since his retirement from Boeing in 2000, he has taught aviation maintenance management courses at Embry-Riddle Aeronautical University in Daytona Beach, Florida. He developed this book because no suitable text for courses such as his existed.